We strive to find items you want and have requested. 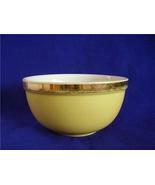 We carry a wide variety of replacement china & pottery, if you don't see what you are looking for just ask. 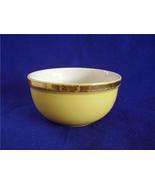 Items we look for are vintage, retro, antiques and new! . 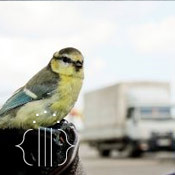 We look for consumer electronics, household goods, and occasional clothing. Most importantly we do not claim to be experts on any given item. We research our items as best we can to give you a comprehensive description and provide you with many pictures. As we buy our goods at numerous locations, we can never guarantee that they come from a smoke free or pet free environment. We DO however, GUARANTEE that your items will arrive to you only after they have been cleaned. Only exception would be certain vintage or antique items where a patina is better left on - this would be noted in the description. As far as how we package, we do not package lightly in order to save a dollar. Most items will be double boxed. We pride ourselves on getting your purchase shipped out almost immediately, safely and that it will arrive in one piece. We also take great pride in our customers satisfaction. Check our buyer's feedback and buy with confidence! We want you to return and send your friends to us!! We strive for 5 star service to you. We look at our email throughout the day and nite. Feel free to ask questions, ask for shipping quotes, or if you want more pix sent to you. Sofyblu2 has such a loving heart. An A++ seller and friend. Mary is a credit and asset to bonanzle and the community. This seller is more then just a seller she is friendly and inviting to new people on Bonanza. Very helpful lady if you have questions. She takes time to reply back. I have her saved as my Bonanza Friend! Sofyblu2 is one who seeks and projects the positive in all areas of life. Professional Seller/Buyer with wonderful, warm human traits. Personal service and cool items await anyone who purchases from her. TERRIFIC BOOTH AND SUPERT SELLER, SO NICE TOO! RECOMMEND! What a delightful lady!! It was such a pleasure doing business with her. I have nothing but positive things to say about sofyblu2! Sofyblue2 is highly respected for her professional attitude and helpfulness with fellow sellers. She is a blessing to know for she puts her heart and soul into her selling and her friendships on the boards too. Thank YOU Mary, for all you do and the way you do it. Who’s among the first to help, praise, laugh and cry? Who makes this place a home? Who never fails to reach out to anyone and everyone she can? 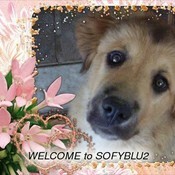 Sofyblu that’s who Terrific person, outstanding community member, and all round good sport ~ thanks Sofy You rock honey! Sofyblu has been a great friend to me from the early days of Bonanzle. Her business professionalism and integrity is a wonderful asset to Bonanzle! Sofyblu2 is always there willing to help, and almost always has an answer. She is also a huge supporter and promoter of the Bonanzle community. Thanks Sofy! She made us feel very welcome here on bonanzle.Thank you for the very nice things you said about our store. I have had a wonderful time selling and buying on Bonanzle with Sofyblu2. She has wonderful taste in the items she has collected and is always willing to help out when needed. An excellent Bonanzler! I just received the napkin and salt and pepper shaker caddy. It is outstanding ! Sofyblu2 is the quintessential seller ! They make you feel at home, ship quickly with the best packing job I’ve ever seen, and are always there to answer any questions or comments. Thank you so much! Great Promotions..Great Ideas..Great Attitude and Great Booth. When you need help sofyblu2 is there is many of the answers, plus great stuff! Sofyblu2 has helped me so much as I integrated into this community. Her sense of humor and warmth are so special. And her booth is filled with beautiful items you just don’t see in many places. I highly recommend Sofyblu2 as a seller and as a helpful little elf in the Bonanzle community! Awesome member of the Bonanzle community. Helpful in every way. Great bonanzler! Asset to the Bonanzle community! Very friendly, involved, and always offering positive input whenever possible. Sofyblu2 is the type of seller that anyone would want to buy from because she shows she really cares about the quality of the experience for the buyers and other sellers! Sofyblu2 is a valuable member of Bonanzle! She is always helping others and thinking of ways to promote Bonanzle. I haven’t had the pleasure of buying anything from Sofyblu2 yet, but from what others say, she is a terrific, honest seller. Sofyblu2 is truly committed to the success of her business putting the highest degree of importance of customer service and caring for her fellow persons. In the great race of life… it’s good to know we bet on the right horse. Thank you for holding steady to the finish. Sofyblu2 is a wonderful member of the Bonanzle community, who is constantly brainstorming and bringing people together to make this marketplace even better. She is always friendly and willing to lend a helping hand to a fellow bonanzler. It is people like her who will continue to make this site successful! She welcomed me into this wonderful world of Bonanzle and made me feel warm and fuzzy. Thank you for that! Professional with a friendly spirit. Informative and she has drive and get go! Buy with confidence from this terrific Seller ! Sofyblu2 is one of the shining stars on Bonanzle, not only as a seller but as a person who gives of her time and knowledge to help others whenever she has a spare moment. It is because of her lead that Bonanzle will succeed. Thank you Sofyblu2! Awesome Seller! Valued member of the Bonanzle Community! Thank You for all you do!!! Selfless and helpful to all! A joy getting to know!! Sofyblu2 is one of the nicest people I’ve ever ‘met’ online! So friendly and what a great sense of humor! Wonderful person to work with! Sofy – is the most amazing person that I have met in all my time selling anywhere on the web. From out of the blue she asked me is I needed help getting my Goggle going and spent the rest of her night helping someone that knows nothing about computers. She is truly a blessing to us all. Sofyblu2 has some great items and it’s fun to shop. It’s even more fun after the purchase because her communications are so friendly and fun. I’ll definitely be back for more! Fantastic, high quality vintage can be found here. Awesome! very professional and friendly seller, partially reimbursed shipping to reflect actual shipping cost, wrapped the item (breakable) with much care, and shipped fast. definitely would recommend sofyblu2! sofyblu2 has such quality items. I can’t wait until shopping day. Sofyblu2 is a fantastic seller that knows her stuff. I’ve worked with Sofyblu2 many times, she informative, communication fabulous and A+ Seller. Shipping is incredible. I’ve never seen anything like it. Make sure you check out Sofyblu2 often. There’s always something new.